The center of this tungsten ring is brushed silver , and the edges and inner ring are plated blue. 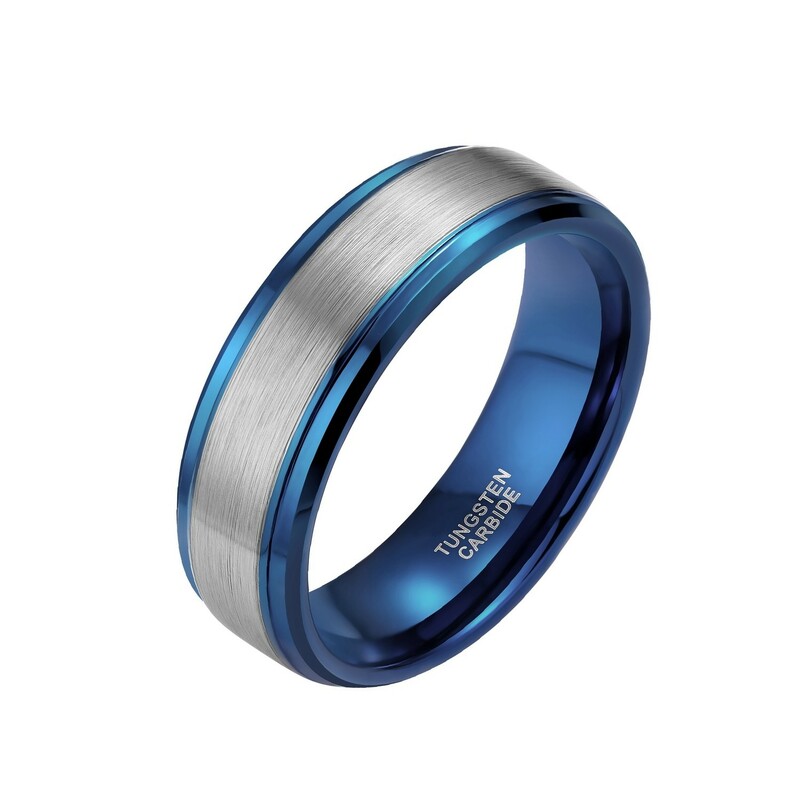 The blue and silver collision makes this ring more unique. This ring has no other decoration and is a simple and classic style. 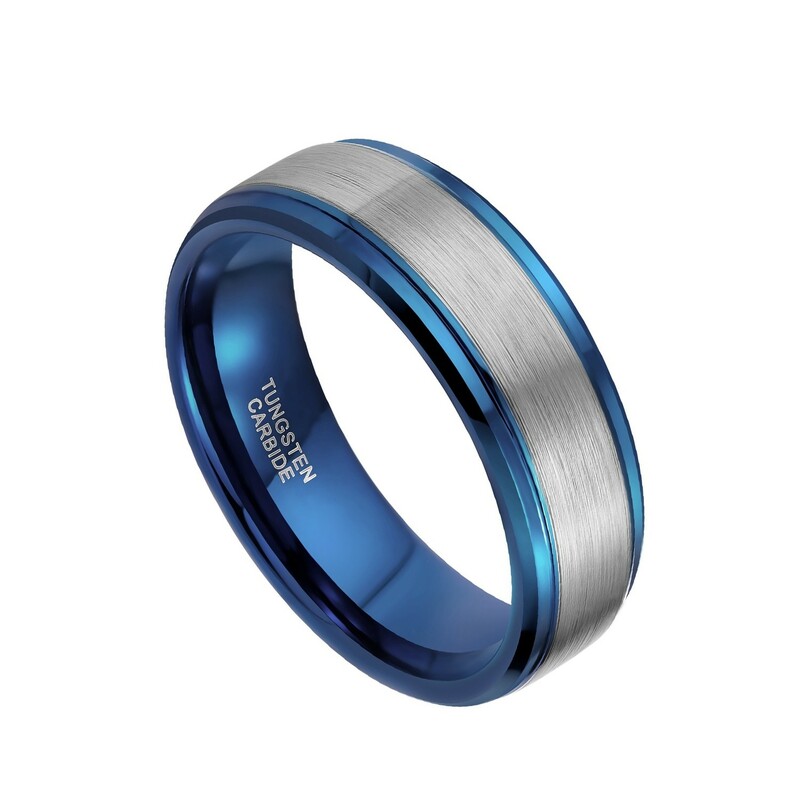 It is 8mm wide and is more suitable for men. The quality of our products can withstand your test, we provide lifetime protection, so you do not have to worry about the quality of the product. All products are free shipping! Amazing ring, especially for the price! The ring fits perfectly and looks great on. 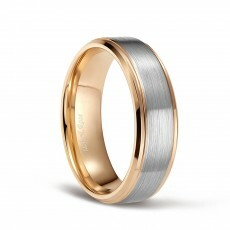 I'm not used to wearing rings so it seems a little bit heavy on my hand but not any heavier than other tungsten rings. Because of the quality and price I might get another one as back up in case I lose it. Great looking ring true to size. Fast shipping! Incredible Just Incredible best ring I've ever had I've had for a good while now and it's super high quality!! And just stunning!! Wow Be Blessed. I am so happy I found this band! 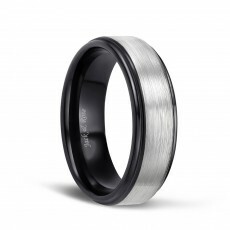 My fiance' wanted a Tungsten band, and the prices in the stores are really high. The quality of this band is just as good as the ones at jeweler stores. I just can't believe the price!! My fiance' is very happy as well. It is beautiful. 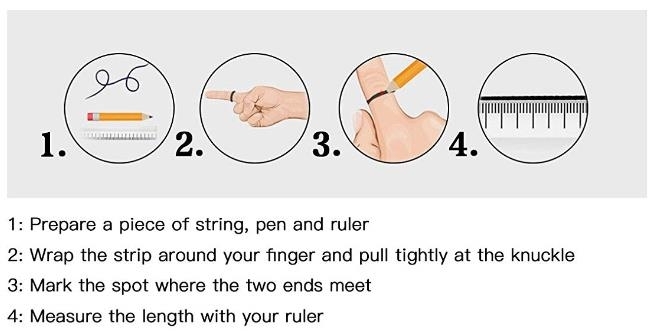 It slides onto the finger smoothly, and is comfortable and easy to wear. It has a nice weight to it and the box it came in is nifty. I bought this ring for my husband for Christmas. He had his original band but it would turn all the time and want to slide off. 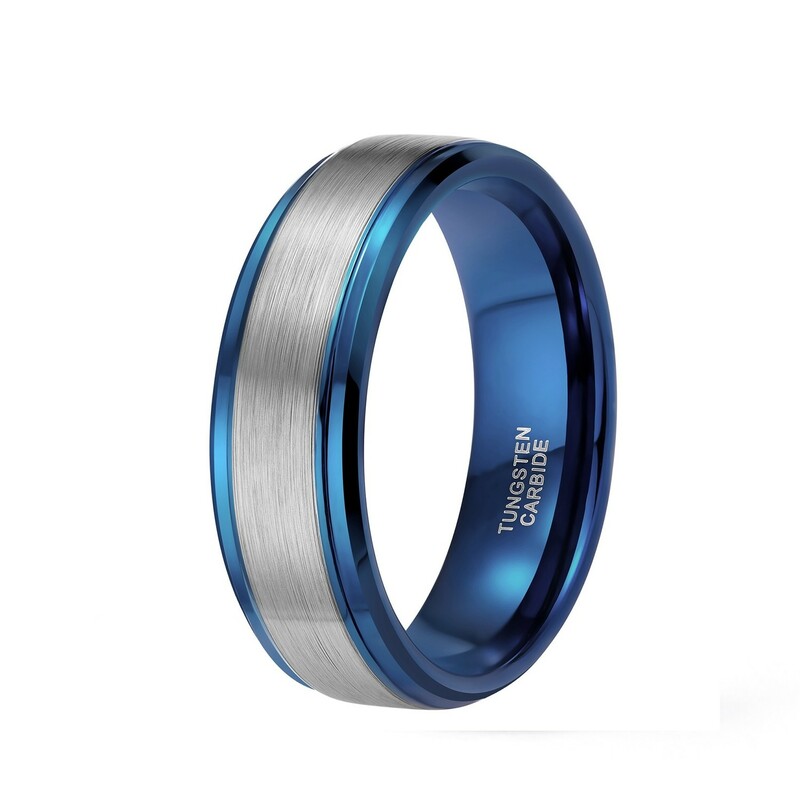 I chose this because first of all it's tungsten and plus it has a ring of blue around it in which it is my husband's favorite color. He's had it since Christmas and not one scratch on it yet. 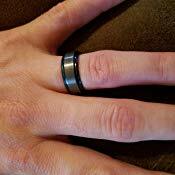 He says he loves this ring especially because it fits so much better and its very comfortable to wear. I would highly recommend this ring! Was a Christmas gift for my husband since his wedding band hasn't fit in years. He loves it but we are losing weight and sadly it is too large already. Great buy and a very handsome ring! 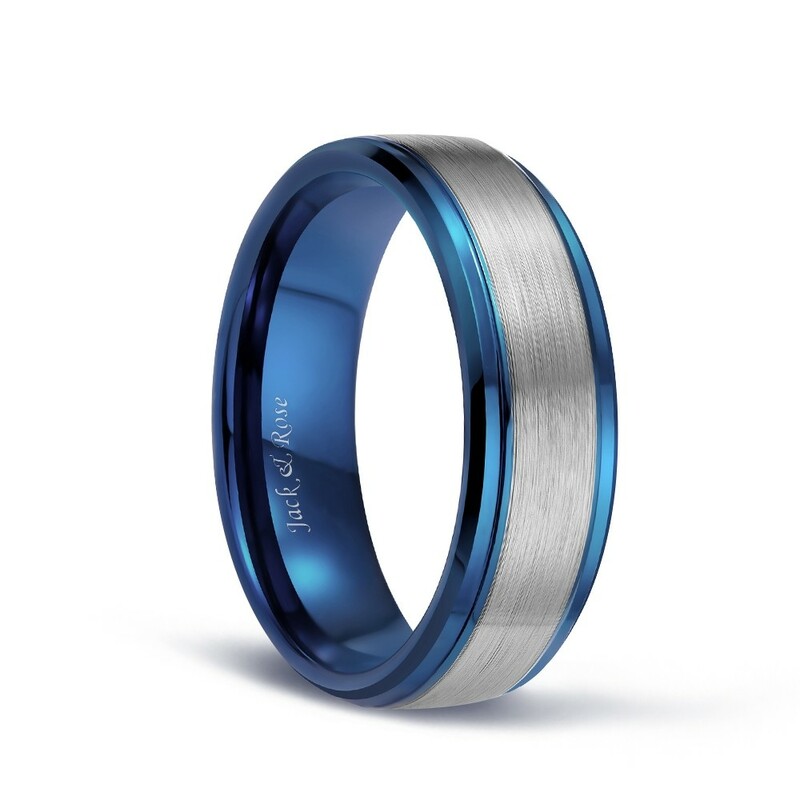 Actually this is not a spinner ring. No, the quality of our rings is guaranteed, and there will be no greening and fading of the fingers. Please rest assured.